I could not live without infused oils. I incorporate them into my lotions and potions and they are also perfect for adding zing to stir fries, salad dressings, roast veggies and also as a garnish for soups and dips. Infusing herbs and spices allows the oily constituents of the plants to impart their own unique aromas, flavours and therapeutic qualities to the oils. Using a quality oil for infusing is a must and I most often choose a robust, peppery local extra virgin olive oil. For more delicate herbs and spices I might choose cold pressed macadamia, sweet almond or avocado oil. The lighter oils are also useful for personal care preparations such as face creams, having said that I often use extra virgin olive oil too such as in this honey and calendula lip balm. 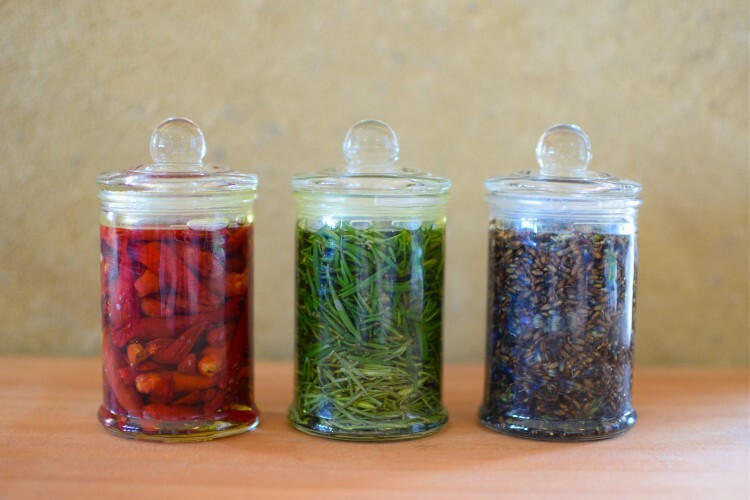 It is best to use dried herbs and spices for infusing. Taking out the water content ensures that microbes are less likely to grow in the oil during the infusion process … you want to avoid nasties such as botulism at all costs! To make your own herb and spice cold infused oil is very easy you simply start with a sterile bottle or jar. I run mine through the dishwasher or you can immerse them in boiling water and then allow them to air dry or pop them in a low oven. Ensure they are dried well as only a drop of water may result in rancid oil. Fill the sterile jar a quarter to half full with dried herb or spice and then simply top it up with oil. Ensure that the plant material remains below the oil so that it does not become exposed to air and grow mould. If you notice it popping up simply push it down with a clean stainless steel utensil. Then simply place in a cool dark place for 4 – 6 weeks. Every few days check your oil and make sure the plant matter is fully submerged. At the end of 4 – 6 weeks you can strain out the plant material and rebottle. Now you have your own bottle of cold infused oil. Again, you will need to store it in a cool, dark place or in the fridge and then use it up within 4 – 6 weeks. Coconut oil is all the rage however it is harder to infuse. The coconut taste is also rather pronounced so it best to infuse the oil with spices that complement it. Think coconut curry! Coriander seeds, star anise, lemongrass and ginger work well. Because the oil is mostly solid I just melt it in a small stainless steel saucepan over a low heat. When it is just melted I stir in the spice or herb and then quickly bottle it. After it has infused for 4 – 6 weeks I simply melt it again, strain and rebottle for use. 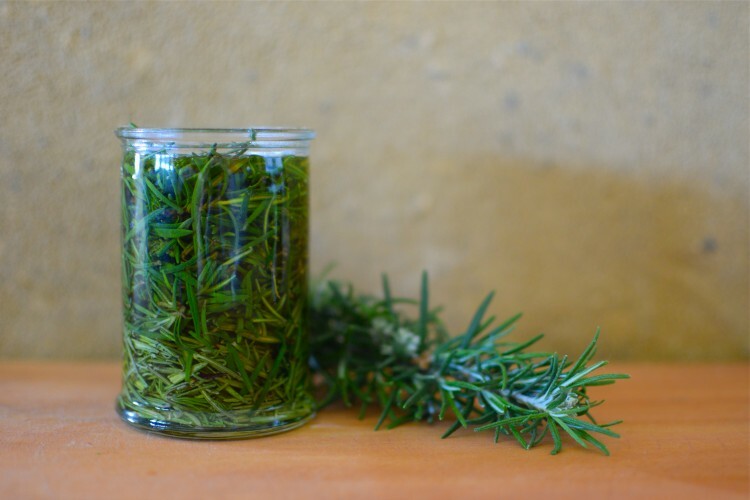 Rosemary – perfect for drizzling over roast veggies or roasting meats such as lamb. Rosemary also makes a wonderful massage oil for sore, over-exercised muscles! Lavender – makes a wonderful relaxing massage oil for body or temples. Lavender infused oil is also lovely to use in the oil phase of homemade creams and balms as a relaxant and anti-inflammatory. St Johns Wort Flower – creates a beautiful deep red oil that can be used extrenally on the body as an antiinflammatory massage oil for neuralgia and sciatica. You can also apply the oil to to promote healing of bruising and minor burns. Calendula – is a tried and true wound healer. The infused oil is prized in balms and creams for healing minor wounds, burns and helping maintain healthy skin generally. 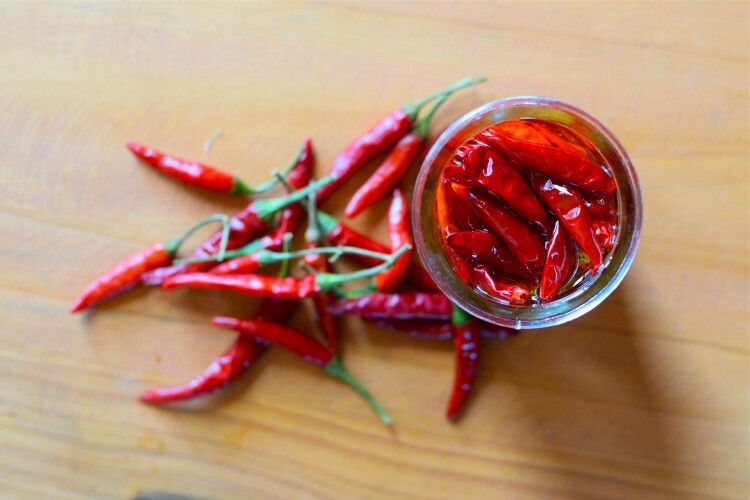 Chilli – my favourite spice to infuse to add punch to my stir fries and laksas, a warming digestive stimulant! Have fun experimenting with infused oils! Great tutorial, thanks! 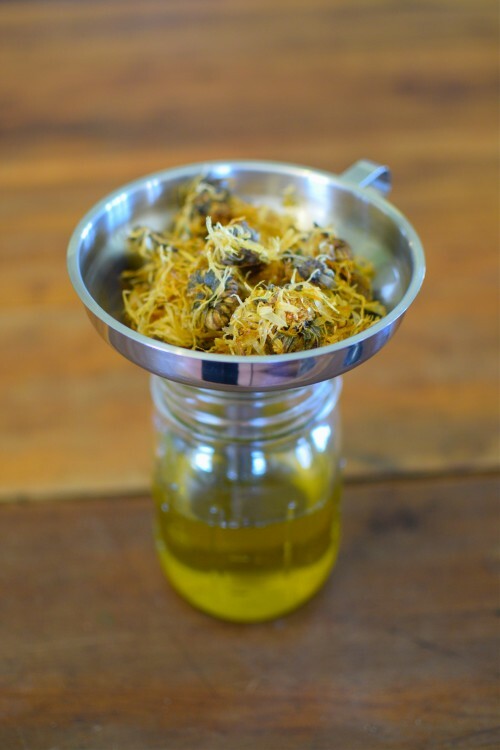 I can’t wait to get started on infusing oil and then making that yummy lip balm!